Through UNICAF's exclusive online partnership with the University of South Wales, students not only have the opportunity to study for a UK degree without leaving their job, their family, or their country, they can do this at a fraction of the cost, thanks to the generous UNICAF Scholarship Programme, currently covering up to 60% of tuition fees for qualifying applicants. 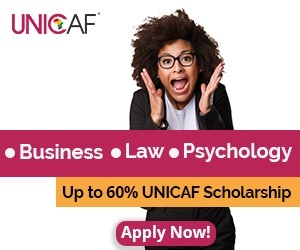 Up to 60% reduction in tuition fees through a UNICAF scholarship. Become our next success story!